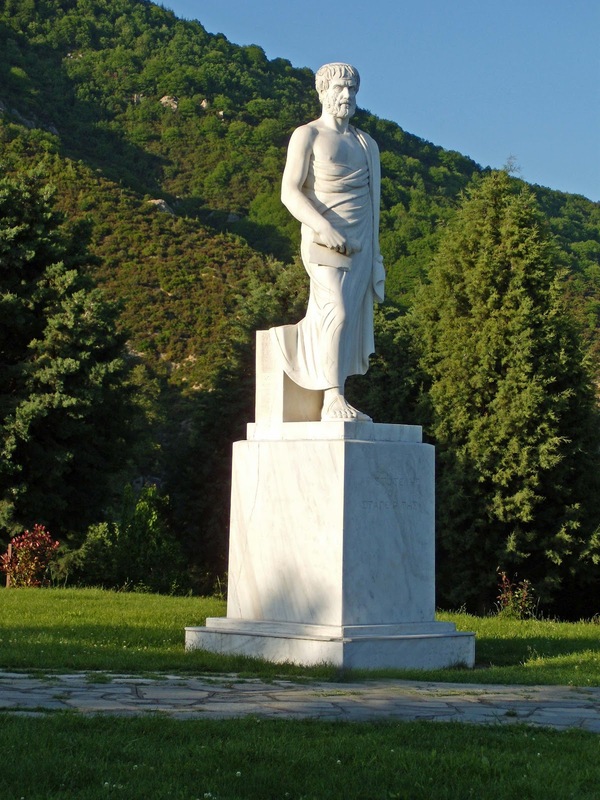 Aristotle is often praised as the father of Logic, but it is far more reasonable (and logical) to say that Aristotle developed theories of debate and seeking truth just as thinkers had from many ancient cultures such as India and China. There are several of his texts that concern logic and debate which were gathered together and titled the Organon by Aristotle’s followers. We will cover some of the central ideas of Aristotle’s Categories, On Interpretation, Prior Analytics and Posterior Analytics. In the Categories Aristotle is concerned with in the power of speech, identified with breath and Logosin Plato’s Timaeus. Aristotle assumes that things have purposes according to their natures, and these purposes correspond to concepts that can be put into words. Aristotle believes that we must observe nature and say what can be said of things, based on their similarities and differences. Recall that in Plato’s Timaeus, all things are fashioned out of sameness and difference. 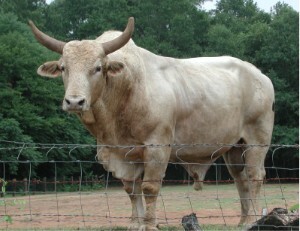 Thus, as example, Aristotle says that ‘animal’ can be said or predicated of both a man and an ox, just as ‘man’ and ‘animal’ can be predicated of any human male individual. A Genera or Genus is the family to which a thing belongs. This is paired with Species, the subgroup of the family. He says that if you are giving an account of a particular tree, you would say more with the species of tree than you would of the genus ‘plant’. Aristotle gives us ten categories which he claims are in no way composite, completely separate from each other or “categorically separate”. The ten are substance, quantity, quality, relation, place, time, position, state, action, and affection. Note that several of these such as relation, place, time, position, state, and affection are all quite confusingly interrelated, even though Aristotle says that they are all categorically separate. Substances ‘underlie’ everything else. Aristotle argues that substances simply are, while ‘white’ or ‘beautiful’ or ‘warm’ can be more or less so in a thing. Aristotle writes, “The distinctive mark of substance is that it can admit contrary qualities. Thus, a color cannot be both white and black, nor can the same act be good and bad: this is true for any non substance, but substances can at different times be white and black…The same individual person is at one time white, at another black, at one time warm, at another cold, at one time good, at another bad.” Note that by “white” Aristotle means a sick, pale or elderly person, not a judgement about ethnicity. Thus the proposition “He is sitting” can be true, then false, then true as a person sits, stands, and then sits again. Aristotle denies that things can possess contrary qualities (be both white and black) or be in contrary states (good and evil) at the same time. This is a point that any skeptical or relativistic thinker would deny. Heraclitus, an opponent that Aristotle argues against, thought that things were good and bad by perspective and positioning and so things can have contrary qualities and be in contrary states at the same time. Aristotle completely denies the possibility of this, saying “If, then, someone says that statements and opinions are capable of admitting contrary qualities, his contention is unsound”. 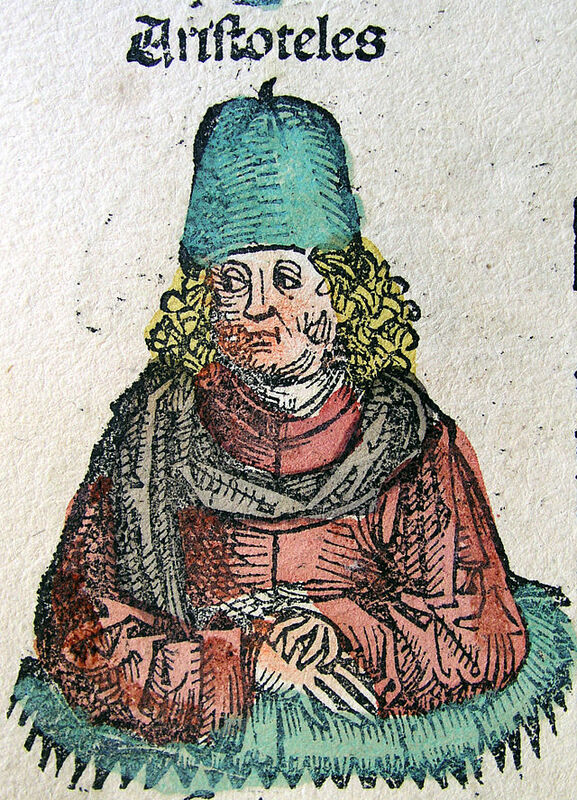 For Aristotle, a person cannot be healthy and sick at the same time, but it can be one at one time, then another at another time. What if you have a healthy liver, but an eye infection? What if you then get a liver problem? In his On Interpretation, Aristotle says that we must limit our discussion to propositions that are true or false exclusively. He argues that prayers, promises and requests are neither true nor false because they do not guarantee whether they will be fulfilled or not. An affirmation is a positive statement of something, a denial a negative statement. 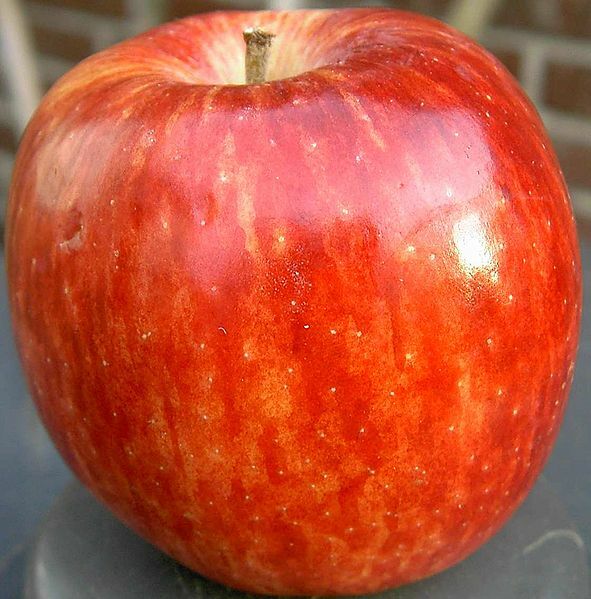 Thus, “I exist” is a positive affirmation, as is “This apple is red”, whereas ‘I do not exist’ or ‘I doubt that I exist’ are negative denials, as is “This apple is not red”. Later Aristotelians used a diagram known as the Square of Opposition to frame and teach Aristotelian Logic. In fact, Aristotle does not mention the concept himself but medieval Europeans, who translated much of Aristotle from Arabic into Latin, created the square as a way of organizing Aristotle’s ideas. In the same way, Aristotle did not use algebraic notation but his syllogisms were put in symbolic forms by Muslims and Christians to make them simpler to digest. Aristotle says there are universals and particulars. 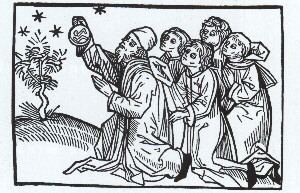 This corresponds to the eternal aetherial heavens and the temporal earth. Cows is the universal group including all cows, while a particular cow is an individual. Thus, “All people are good” and “No people are good” are universal propositions, whereas “Some people are good” and “Some people are not good” are particular propositions. 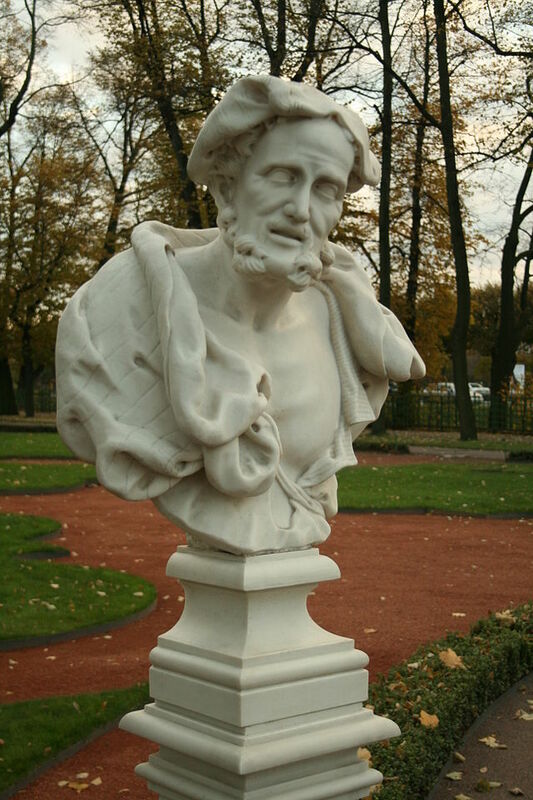 Aristotle uses “white” as a central example, and this was misperceived by later cultures. Muslims and Christians mistook this to be speaking about their own ethnicity, and unfortunately Aquinas in the 1200s used “Socrates was a white man” as a central example for teaching Aristotle’s On Interpretation. 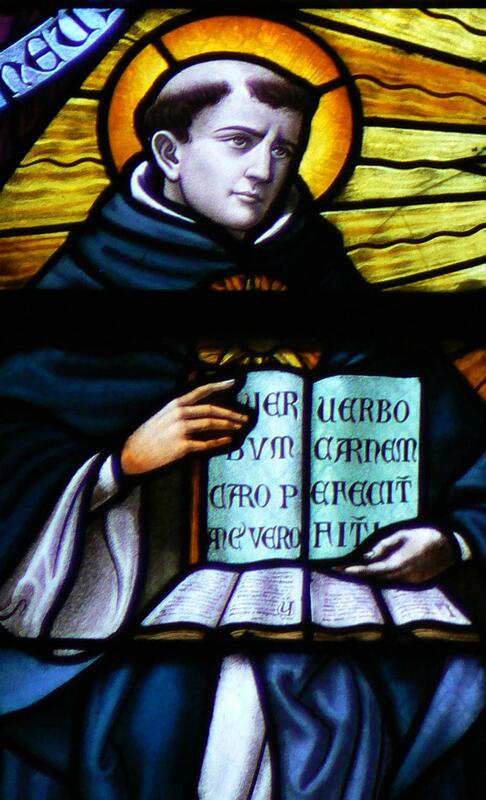 Aquinas thought that he and Aristotle were “white men”, and that this referred to the European race. Muslim logicians assumed that Aristotle was a “white” Asiatic man like themselves, and Aquinas is getting his Aristotle from Persians like Al Farabi and Al Ghazali. Aristotle, who was concerned with medicine and biology, used the term to refer to a sick or elderly person, which shows that he neither called Greeks white nor thought that it was their typical condition. Aristotle tells us, critical for understanding the Square of Opposition, that particular propositions can contradict each other but both be true, whereas universal propositions can not contradict each other and both be true. Consider the four propositions, “I like all cows”, “I dislike all cows”, “I like some cows”, and “I dislike some cows”. The first two are universal propositions, as they refer to the group of all cows, while the second two are particular propositions, as they only refer to some individual cows. These propositions correspond to the four corners of a square. The top is universal (All and None), the bottom is particular (Some and Some Not), the left is positive (All and Some), and the right is negative (None and Some Not). If we want to put the four corners in an algebraic form with X and Y, they would be: All X is Y, No X is Y, Some X is Y, Some X is not Y.
Aristotle notes that the cross corners cannot both be true, and neither can the top two corners (ALL and NONE). Also, he argues that one or the other of the bottom must be true, but as many have pointed out this is only so if we know that there are some Xs and Ys and that things must be either X or not X, Y or not Y. If there are cows, and if I either like or dislike things, then there must be some cows that I like or some cows that I dislike, and while I may like some cows and dislike others I must do one, the other or both. If there are no cows, or if there are things I am indifferent to and neither like nor dislike, Aristotle is wrong that one must do one or the other. Aristotle argues that he has a problem with things that are neither X nor not X, with the example of a neither good nor bad person. Does the proposition “X is good” contradict “X is bad” or does it contradict “X is not good”? If X is neither good nor bad, the first is false, the second false, but the third is true. Good and bad are contraries, but they are BOTH contrary to neither good nor bad (neutral, like the Swiss). Aristotle says, strangely, that ‘not good’ is MORE FALSE than ‘bad’, the contrary quality. This seems to reverse his position from before, that if something is good, it can be bad at some other time, but cannot be bad, because he is now saying that it is more that it cannot be good. He says, “It SEEMS more contrary”. Aristotle has founded everything on what are later called by Aristotelians the PRINCIPLE OF BIVALENCE (a proposition must be either true or false, not neither true nor false) and the PRINCIPLE OF NON-CONTRADICTION (a proposition must be true or false, not both). These two principles became central to the logical positivism of the British and American Analytic tradition. 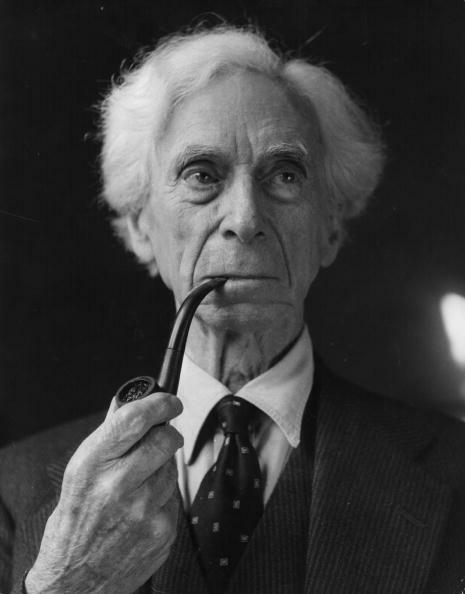 Bertrand Russell argued that logic and science must start with one universally true principle, the principle of noncontradiction, to avoid skepticism and relativism, being as upset with Utilitarian and pragmatic logicians such as John Stuart Mill as Aristotle was with Heraclitus. 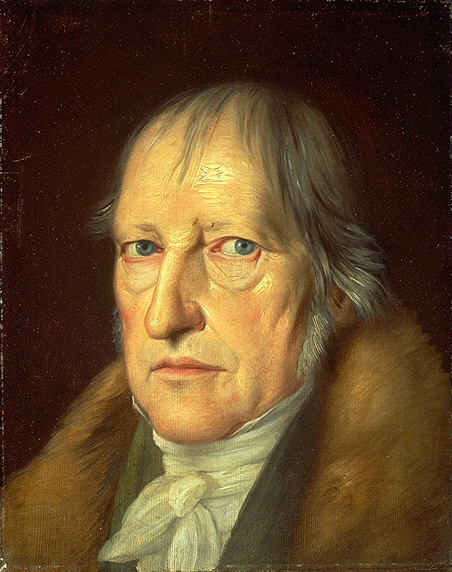 Hegel, who argued that the major battle in the history of thought was that between dogmatism and skepticism, identified dogmatism with noncontradiction and skepticism with contradiction. Hegel believed that Aristotle grasped the side of thought that exclusively divided things to avoid contradiction, but Heraclitus grasped the side of thought that inclusively united things and their opposites to comprehend contradiction. Recall that Parmenides argued that being and nonbeing cannot be the same, ridiculing the position of Heraclitus, while Heraclitus argued that being and nonbeing are one and the same as becoming, the constant transformation of all things. In Plato’s Parmenides, Socrates is taught that things can and can’t have contrary qualities, that the position of Heraclitus or any other thinker is true and not true. Hegel, like Plato’s Parmenides, takes this contradictory view, that contradiction and noncontradiction are both true and false. The top and bottom of the square of opposition show us both of these positions, as well as the two ways we use the word ‘or’. The conjunction OR can function both inclusively and exclusively. 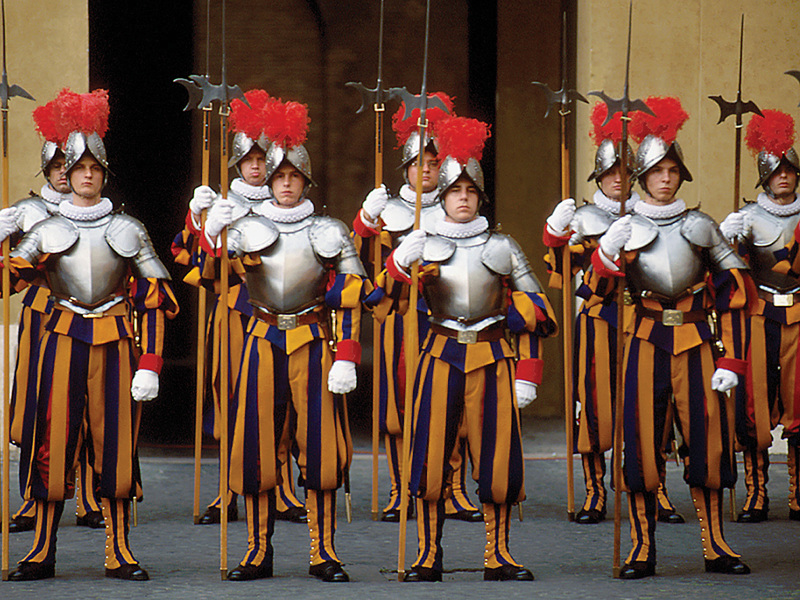 Let us say you are at a buffet, and the sign says, “You can have eggs, toast, bacon, soup, or salad”. 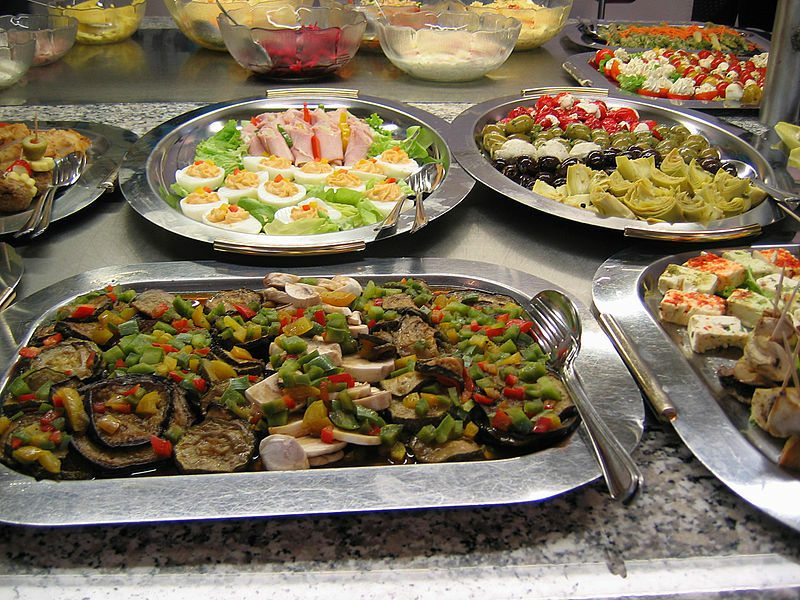 At a buffet, you can have as much of any number of things as you want, thus the OR in the sign is used INCLUSIVELY. Now let us say someone is buying you a car, and says “You can have a Honda, a Cadillac or a Volkswagen”. Since you only get to have one, the OR is being used EXCLUSIVELY by the generous person who is buying you a (single) car. When you can have your choice of more than one, OR is used inclusively. When you can have ONLY one choice, not more, OR is used exclusively. Notice that the top of the Square of Opposition, the Universal and General side, functions like an exclusive OR because both “All X is Y” and “All X is not Y” cannot both be true. If all trees are green, then it can’t be that all trees are not green and vice versa. The bottom of the Square of Opposition, the particular and individual side, functions like an inclusive OR because both “Some X is Y” and “Some X is not Y” can’t both be false but one, the other or both can be true. 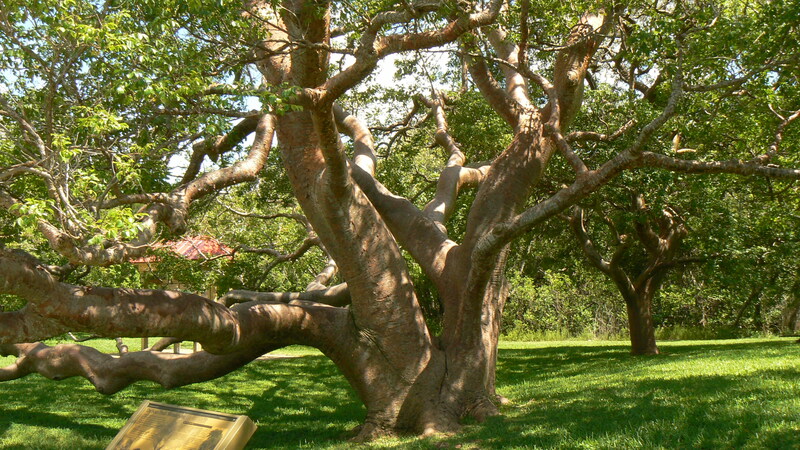 If some trees are green, it is possible that some trees are not green. While ‘all’ and ‘none’ are absolute and exclusive (“black versus white” as it is often called), ‘some’ and ‘some not’ are relative and inclusive (“shades of grey” as it is said, contrary to “black or white”). When we are dogmatic, and want black and white answers, we are like the top, and when we are skeptical and want shades of grey, we are like the bottom of the square. Aristotle says, like Russell thousands of years later, that true science or knowledge starts from starts from first principles to deduce necessary conclusions, and he says that this originated in ancient Babylon (modern day Iraq). While he includes consideration of some and some not, notice that nothing is known certainly about X if we only know that some X is Y or not Y. To know something certain about X, we would have to know that all X is Y or no X is Y. If I know that some cows are good, I do not know if my aunt Mildred’s cow is good, but if I know that all cows are bad, I know with certainty that Mildred’s cow is evil. 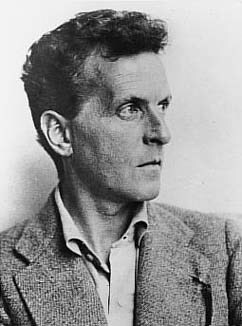 Wittgenstein, Russell’s protege who invented modern truth table logic, remarked in his Philosophical Investigations that in arguments between individuals and schools of thought, each side attacks the other as if their position is absolute by offering counter examples, but each side also allows their own position to be relative, as mostly or plenty true in spite of counter examples. Believers in objective truth argue that all truth is not subjective against skeptical relativism, and believers in subjective truth argue that all truth is not objective against dogmatic absolutism. Wittgenstein wanted to show that while many argue that truth is out in the world, independent of mind, and others that truth is in the mind, independent of the world, we think and act as if truth is both in the mind and in the world, both subjective and objective at the same time in many ways. Aristotle describes the difference between DEMONSTRATION, which starts from certain principles to deduce and conclude additional certain principles (If A, B, and C, therefore D) and DIALECTIC, which argues back and forth about a thing to see which side is more certain (Is A B or not B, just like the Nyaya logicians of India). 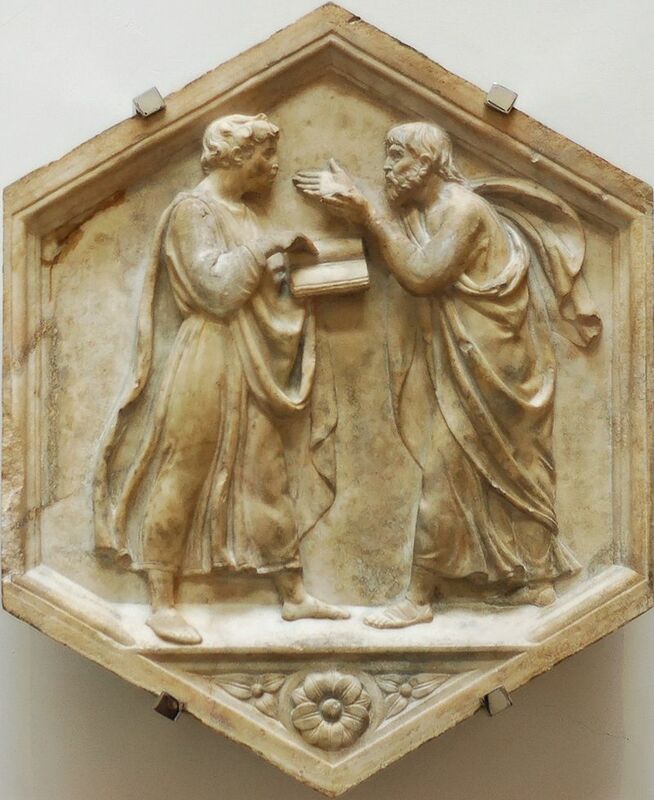 While Aristotle’s teacher Plato thought dialectic was the ultimate device for achieving certain knowledge, famously displayed in the Parmenides, Aristotle believed that demonstration is superior to dialectic even though he uses both throughout his texts. Aristotle presents us with many forms of argument that can be used in debate, but he only believes that the first four require no additional conditions, outside inferences or evidence. For this reason, Aristotle’s four “perfect” forms of syllogism were studied as the forms of logic up until Wittgenstein replaced them with truth tables. There is one for each of the four corners of the square. If All A are B, and All B are C, then All A are C.
If all humans are animals, and all animals are alive, then all humans are alive. In the Venn diagram form, if a circle A is entirely within a circle B, and this circle B is entirely in a third circle C, then circle A must be entirely inside circle C.
If All A are B, and No B are C, then No A are C.
If all humans are animals, and no animals are made of stone, then no humans are made of stone. As a Venn diagram, if A is entirely within B, and no B is inside C, then no A can be inside C.
If Some A are B, and All B are C, then Some A are C.
If some animals are humans, and all humans are funny, then some animals are funny. As a Venn diagram, if some A is inside B and all B is inside C then some A must be inside C.
If Some A are B, and No B are C, then Some A are not C.
If some animals are humans, and no humans are reptiles, then some animals are not reptiles. As a Venn diagram, if some A is in B and no B is in C then some of A is outside C.
Aristotle believed that you could derive pure knowledge from chaining these forms together. He argues in the text that since the Scythians have no vines, thus no grapes, thus no intoxication, thus no flute players. Aristotle, like Plato in the Symposium, associates intoxication with flutes. He gives another example. If something is metal, then it will cut, and since hatchets are made of metal, therefore hatchets will cut. In the 1600s, Sir Francis Bacon rejected the syllogism as fallible, just as Islamic scholars and scientists had before, arguing that they were too limited for doing science. Consider that all metal things do not cut, nor do all knives, the butter knife being an example of something metal and a knife that does not cut, created by a French nobleman to prevent his dinner guests from picking their teeth. Aristotle sometimes goes back on his earlier statements and gives us examples when things that are normally universal and certain can be conditional, can be different in certain situations and circumstances. He says that it is never right to kill your father, but among the Triballi tribe, the gods sometimes demand it. Since the gods are one’s super-parents and one’s obligations to them supersedes one’s obligations to one’s parents, he says that the Triballi rightly sacrifice their fathers. Notice that Aristotle believes that the polytheistic gods are real and that human sacrifice is sometimes logical. Interestingly Aristotle provides us with defenses against syllogisms. He says that in order to avoid having a syllogism drawn against one’s own argument, one should not let the opponent give the same term twice over. If one’s opponent argues that A is B, and B is C, therefore A is C, one should attack the twice used middle term (the B that links A and C in the syllogisms) to prevent an argument from reaching a conclusion. 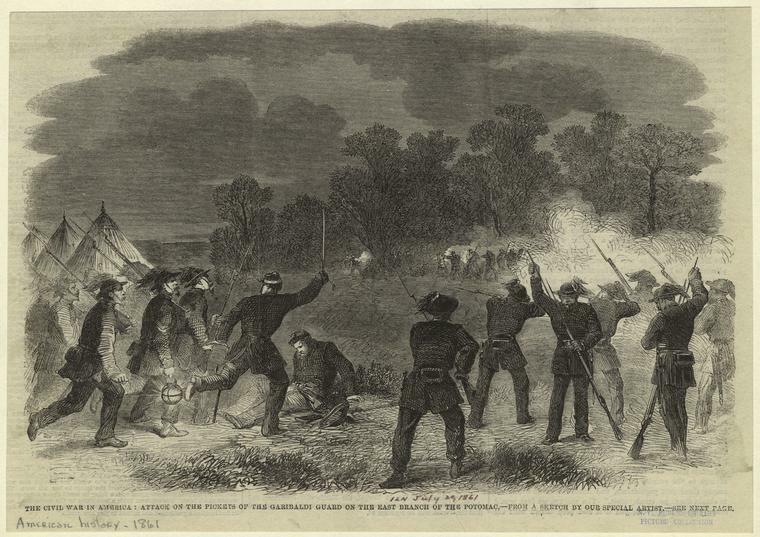 For example, if one’s opponent argues war is American, what is American is good, therefore war is good, one should argue that the war is only somewhat American, that only some of America is involved in war, or that only some of America is good because America is being used to link war to the good. It seems that we naturally know to do this in arguing, just like using the forms. If we want to destroy a position, we show that it is relative, not absolute.